Recently renovated historic building built in 1904 by the Army core of engineers. Was originally the living quarters of Col Thomas C Woodbury. 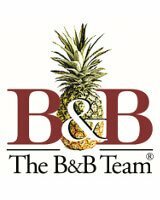 Has been a privately owned B&B since 1981 and has a great clientele of returning guests. In 1906, gold rush pioneer John Olds built one of the grandest homes in all of Juneau, high on the hillside, overlooking the bustling waterfront. Painstakingly restored to its original grandeur, today's Alaska's Capital Inn blends turn-of-the-century elegance with contemporary comfort. Modern amenities in atmosphere of Aleutian Islands provide homelike ambiance in pristine paradise. Traveler settle-in and enjoy for business or pleasure. Experience the magic and charm of one of Juneau's extremely rare waterfront Inns. Beachside Villa Luxury Inn offers the finest views of Mt. Juneau and Mt. Roberts, the City lights, cruise ships, watercraft of all sizes, and assorted Alaskan wildlife.